Former Government Communication and Information System (GCIS) chief executive Mzwanele Manyi says then deputy director general of the organisation, Phumla Williams, illegally signed off on a R26 million tender. Manyi, appearing before the state capture commission of inquiry on Wednesday due to a miscommunication by the inquiry’s lawyers, turned the tables on Williams who made damning allegations against him during her testimony. He said Williams and the employees whom she had given a glowing review during her testimony – while accusing him of driving them out of the organisation – forgot to inform the commission that they had been investigated by National Treasury after Williams had “illegally signed off on a R26 million tender”. Manyi said payments for this tender were made through “numerous invoices so as to go unnoticed by Treasury”. Manyi submitted a National Treasury investigation report that highlighted procurement irregularities with two service providers hired to do work surrounding an awareness campaign about the 2011 census. Manyi, reading from the report, said that it found that Williams had signed off a contract worth R26 million to one of the service providers when she did not have the authority to do so. The company was later paid R6.9 million before the scheme was uncovered, he said. The same Treasury probe found that a second service provider was irregularly paid R700 000 for the same project, while StatsSA allegedly paid a service provider R64 million to provide artwork for the ad campaigns on the 2011 census, but never provided any work. Manyi also dismissed Williams’ allegations against him. Williams, who is currently the acting director-general of the GCIS, said during her testimony in August that, on arrival, Manyi overhauled the GCIS, replacing the entire department’s bidding committee with officials loyal to him. She also claimed that he placed his office in charge of “signing off on any tenders”. She said Manyi used his position to meddle in the affairs of the internal auditing team. Manyi is expected to return to the commission on November 23 – the day he was originally scheduled to testify. Earlier, Judge Raymond Zondo, who is heading the commission, said it was due to a miscommunication that Manyi had been instructed to attend Wednesday’s proceedings. But Manyi insisted that he be granted the opportunity to give his version of events even after Zondo had ruled that he should appear before the commission on November 23 as previously communicated. Just before the commission adjourned for lunch, Manyi requested to address Zondo and insisted that he was “being treated unfairly by the commission” since the “miscommunication was on the part of the commission’s legal team”. Manyi then requested that “a compromise” be struck between himself and the commission. Meanwhile, former president Jacob Zuma’s son, Duduzane, briefly appeared before the inquiry on Wednesday and aired his grievances with the commission’s legal team. Duduzane and his legal team were scheduled to cross-examine former deputy finance minister Mcebisi Jonas who made damning allegations against him at the commission. However, Jonas – through his legal counsel – requested that he appear at a later date due to work commitments. Deputy chief justice Raymond Zondo on Tuesday granted this application and rescheduled Jonas’ cross-examination to November 26. This rescheduling was, however, done “without consultation” with Duduzane and his legal team. Duduzane’s counsel, Piet Louw, said his client had been “greatly inconvenienced by “the sudden and uncommunicated rescheduling” since “he had to travel from abroad in order to appear before the commission and cross-examine Jonas”. “His wife is also expecting a baby at the end of the month,” said Louw. “The postponement of Jonas’ cross-examination without any warning to Zuma and his lawyers is prejudicial to my client,” he said. 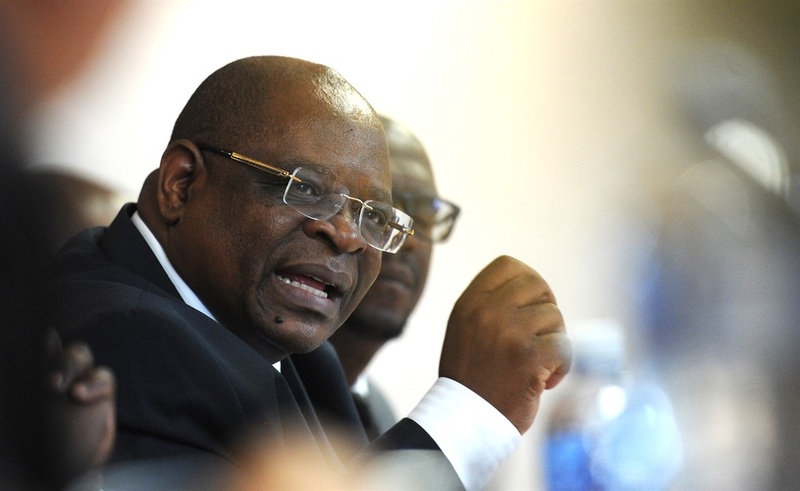 Zondo noted that it was an oversight on the side of the commission’s legal team and ruled that a date more suitable for the two parties should be pursued and settled on. The sequence of events on Wednesday came as a slight reprieve for former and current ANC leaders who have been thrust into the spotlight following testimony by former public enterprises minister Barbara Hogan which had revealed gross meddling by former president Zuma and other party members including former secretary-general Gwede Mantashe in the appointment and day-to-day running of state-owned enterprises. Hogan, however, summed up her testimony on Wednesday by saying: “Zuma’s conduct severely and negatively impacted on state-owned enterprises and began a new norm where presidents and members of his cabinet unduly influenced appointments in SOEs”. Why hasn’t Die Stem been tossed into the dustbin of history yet?